Haystak Digital Marketing was chosen from a field of over 45 SEM/PPC providers in the space based on their comprehensive offering and Premier Google status. Sarasota, FL – June 5, 2012 – Dealers United, the first service to truly leverage the buying power of individual dealerships, introduced their June deal to members today: search engine marketing (SEM) and pay per click (PPC) advertising from Haystak Digital Marketing. Based on the negotiated terms, members of Dealers United will save more than 40 percent over the regular pricing. The Dealers United members-only package offered by Haystak Digital Marketing is one of the most comprehensive in the industry and includes dynamic inventory advertising, retargeting, mobile optimized campaigns and keyword level call tracking, among others. This suite of services means Dealers United members who choose to buy the service will be able to create and send mobile campaigns, use inventory to put the right vehicle in front of a buyer at the time they’re ready to buy, and research what is converting leads down to as granular a level as the keyword that prompted a phone call. In addition to the varied offerings, Haystak Digital Marketing also holds the distinction of being one of only 15 companies in North America to be named a Google Adwords Premier SMB Partner. In many ways, Dealers United acts as the business development arm for private dealerships and dealer groups by researching vendors and negotiating their services at a substantial discount. Members cast their votes for the categories to be presented and receive monthly offerings at highly discounted prices from fully-vetted vendors. If you are an automotive dealer and would like to become a member of Dealers United, please visit: http://DealersUnited.com. If you are an exceptional automotive industry vendor and interested in being considered for a future members-only deal, please complete the vendor registration process here: http://dealersunited.com/signup_vendor.cfm. Dealers United thoroughly vets all suppliers and categories well before negotiations with a provider for a given product or service. 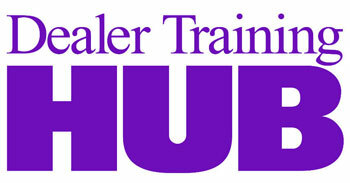 Dealers United is the first service to truly leverage the buying power of individual dealerships. By acting as a dealer advocate, Dealers United vets vendors, negotiates great deals and levels the playing field against very large dealer groups. Our goal is to ensure that every dealer, regardless of its size, has an equal opportunity to grow and succeed in this industry. As individual dealerships are increasingly challenged to allocate expensive resources to select the right vendors, Dealers United aim is to build strong relationships, negotiate terms and pricing with vendors and stand united. For more information on Dealers United, please visit www.DealersUnited.com. Haystak Digital Marketingis the leading provider of digital marketing services to the automotive industry. Haystak's products and services are used by hundreds of automobile dealerships in North America and Europe including numerous publicly traded groups and Automotive News Top 125 Dealership Groups. Haystak Digital Marketing is a recognized leader in the digital marketing industry, being named an Adwords Premier SMB Partner by Google and a Microsoft Advertising Authorized Reseller. The company has offices in Fort Myers, Florida, Chicago, Illinois and Denver, Colorado.